Did you receive a phone call from one of the phone numbers listed below? We are calling from the Wyoming Survey & Analysis Center (WYSAC) at the University of Wyoming. Our Survey Research Center operates a fully TCPA compliant in-house call center, equipped with staff, technology, and software to conduct computer-assisted telephone interview surveys. 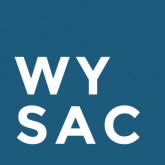 WYSAC is a charter member of the Association of Academic Survey Research Organizations (AASRO) and fully subscribes to the Code of Ethics of the American Association for Public Opinion Research (AAPOR). Confidentiality, accuracy and scientific rigor are always the top priority for all projects. A: We will never call to ask you for money or try and sell you anything. We only call for Institutional Review Board (IRB) approved research projects. Q: Who are you calling for? A: WYSAC conducts research for a number of different state and federal agencies throughout the year. Current and past clients include the Center for Disease Control (CDC), the National Park Service (NPS), the University of Wyoming, the Wyoming Department of Transportation, the Wyoming Department of Health, the Montana Department of Health, the North Dakota Department of Health, the New Mexico Department of Health, the University of Colorado, Wyoming PBS, and many, many more. Q: How did you get my number? A: For nearly all of our projects, telephone numbers are randomly generated by a scientific sample generation company. Random digits are appended to known area codes and prefixes. Our interviewers then hand dial that randomly generated number. We didn’t buy your number from a list, and we don’t keep your number for anything after a project is completed. Q: How can I add my number to your Do Not Call list? A: Any of our telephone interviewers would be happy to add your number to our in-house Do Not Call list; just ask! Alternatively, you can email your phone number to us and ask us to add it to our list – just send a note to wysac.src@uwyo.edu.